UTLC says it launched shipping in tank containers from China to Europe. The first train, consisting of 82 twenty-foot tank containers, loaded with butylene glycol produced by XINJIANG MARKOR CHEMICAL INDUSTRY, departed from Korla Station (China). 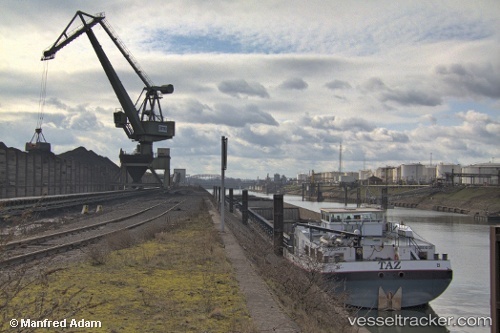 The cargo transited through the territories of Kazakhstan, Russia and Belarus and further through Poland through the territories of the EU countries to the terminal at the station Duisburg (Germany). UTLC provided a service on a track of 1520 mm at the section Dostyk - Brest. The consignee is DuPont International Operations Sarl, a company with more than 200 years of name, leading world-class scientific and technological developments, supplying to the global market innovative products and materials for use in such sectors as agriculture, food production, electronic industry and others. Yusen Logistics (Deutschland) GmbH realized its fourth expansion phase in the Port of Duisburg today. The 26,000m2 logistics complex was built by the duisport Group on one of the last available plots on the logport I site in nearly nine months. The globally active logistics service provider Yusen Logistics has now expanded its capacities at the location to around 70,000m2 of storage area. “The new logistics facility is already the fourth expansion by NYK / Yusen Logistics on logport I and shows the strategic significance that the logistics service provider attaches to the Duisburg location,” says Erich Staake, Chief Executive Officer of Duisburger Hafen AG. The duisport Group has invested around 16 million euros in the new construction and handed it over to Yusen Logistics in due time. “The expansion adjacent to our existing logistics facilities is an important step for us, which makes a new range of logistics services possible for our customers in Germany and Europe,” says Seiji Yuzen, Managing Director of Yusen Logistics GmbH, highlighting the strategic significance of the new construction. Thus the new logistics center contains a 6,000m2 warehouse for dangerous goods. With the new storage capacities Yusen Logistics has also made a further 10,000m2 of high bay racking space and 10,000m2 of cross dock space available, which particularly enables the automotive and supplier industry to consolidate components and just-in-time deliveries to production plants throughout Europe and overseas. Furthermore, central offices are integrated into the cross dock complex. Around 100 new jobs are being created by the new logistics center – in addition to the approximately 300 people that Yusen Logistics employs on site to date.